Yeah, I know, Tuscany in summer is the dream. I get so many emails and messages from people asking for tips on what the region is like in summer and to be honest, it’s great, but you’re not missing out on all that much if you visit in Autumn either. In fact, there are plenty of amazing experiences to be had as the weather cools. 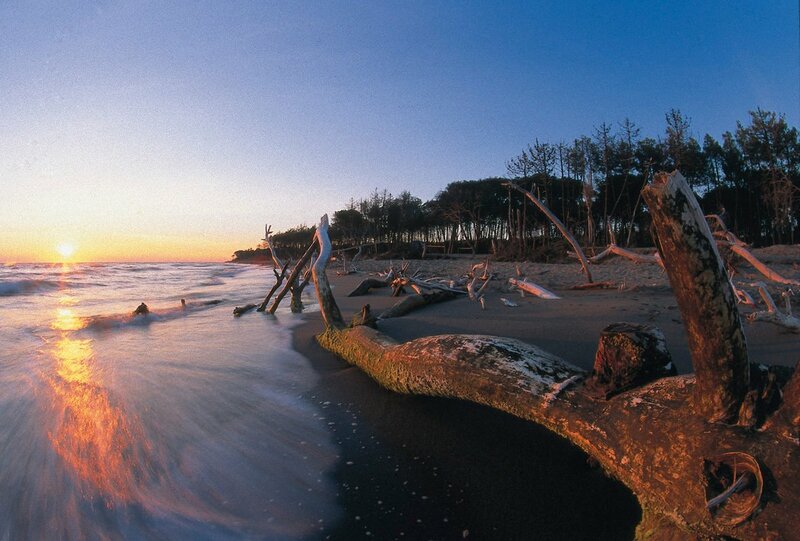 Since the Maremma is primarily a rural area, each season offers new experiences and new tastes. 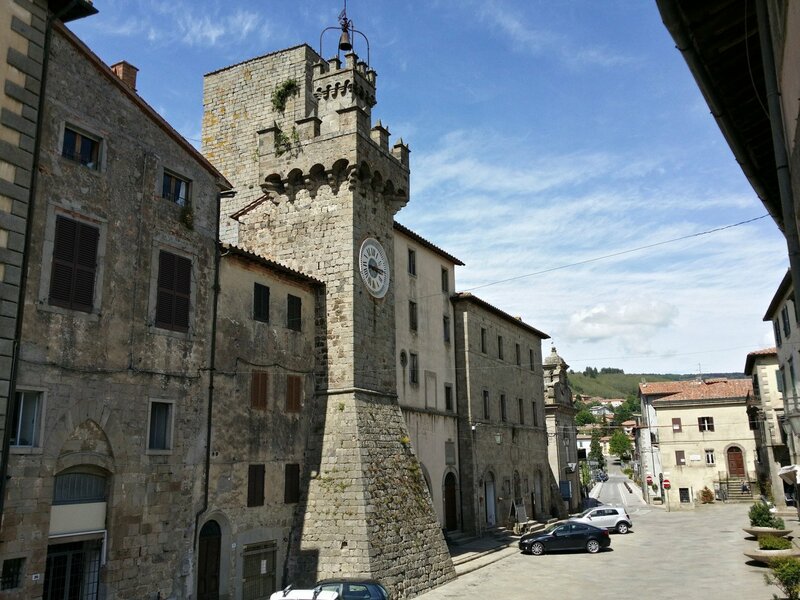 While the beaches and coastline draw the crowds in summer and the inland countryside with its flower-filled fields and outdoor museums are the ticket in spring, in autumn, I head for the foot of Monte Amiata for culinary delights and characteristic villages where the locals are welcoming and the spirit is decidedly artisan and rural. There’s a lot to love about the Maremma in autumn. For starters, accommodation is cheaper. With the tourist masses safely back home, you’re more likely to have an authentic experience and a better welcome, since the locals have had a chance to recover from the forestieri (outsiders). You’re also just in time for some of the region’s best festivals, most centred around olive oil and wine. 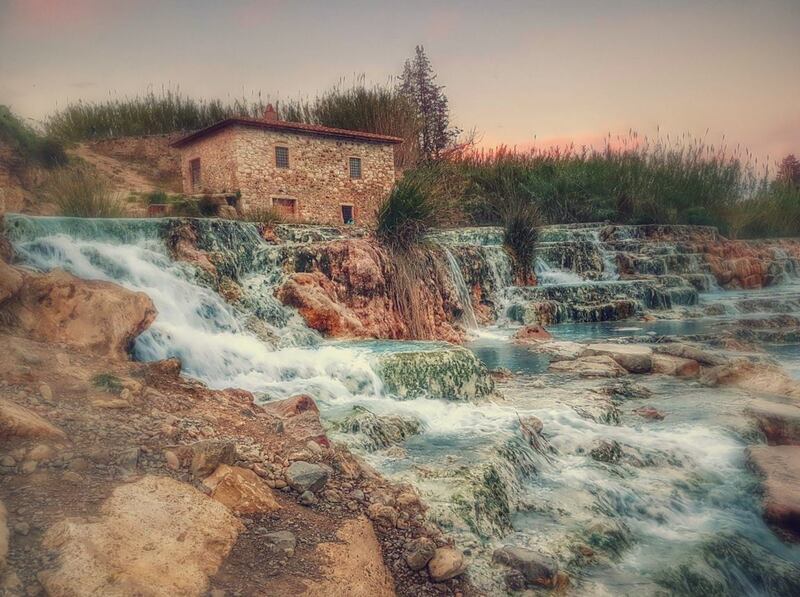 The Saturnia hot springs are going to top any experience list in the Maremma. 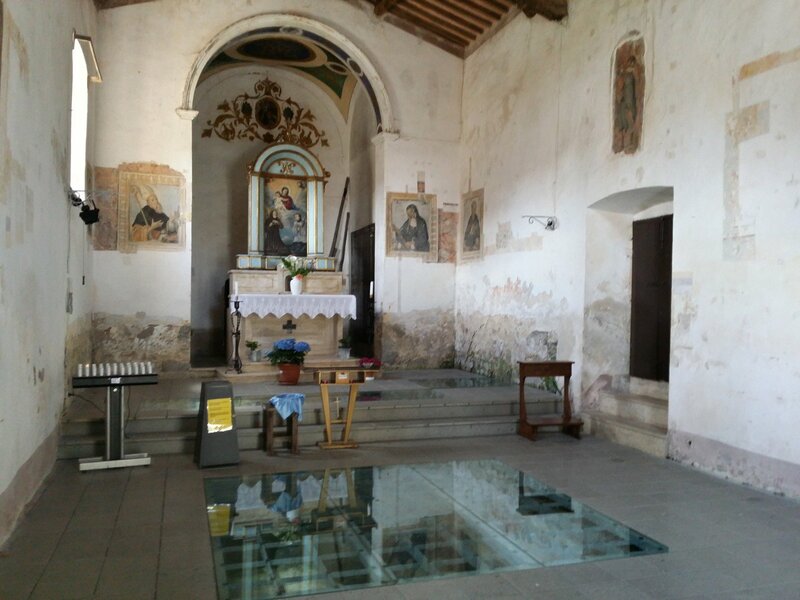 For 99 per cent of tourists, it’s the reason they chose to visit the Maremma in the first place. 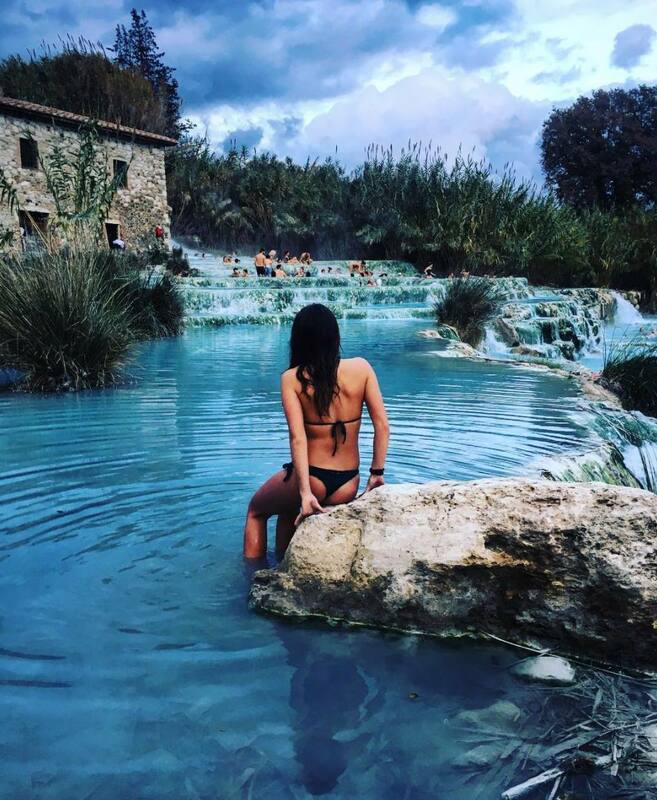 Located just outside of the town of Saturnia, these hot springs are breathtaking to say the least, but that’s not what draws the crowds. They’re also free, open 24/7 and flowing with 37°C (98°F) water all year round. So why visit in autumn? There are less people, for one. In summer, this place gets crazy crowded and you’ll be elbowing people in the face every time you take a dip. Less people equals cleaner water. 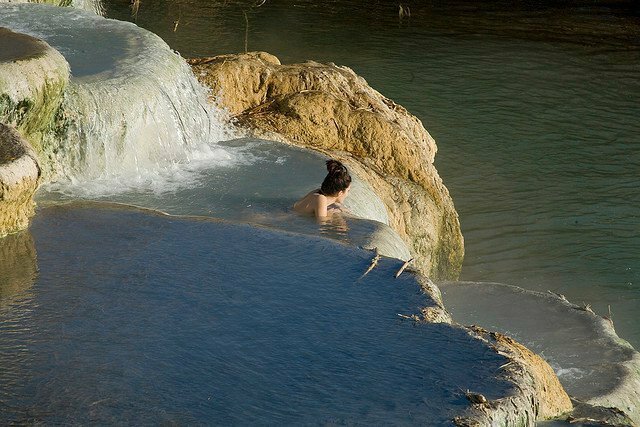 The water flows from a source, which sits under the Terme di Saturnia spa. 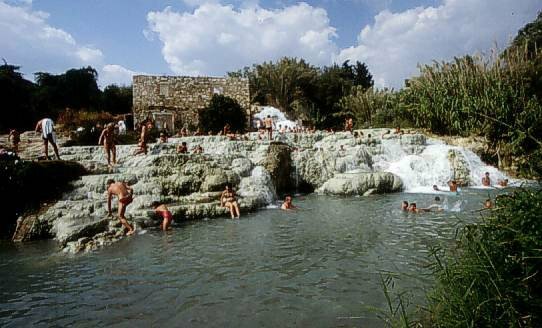 It flows through the complex, out into a river and down a waterfall before landing in the Cascate del Mulino pools. In autumn, there are less people at the spa, which reduces the feeling of swimming in someone else’s dirty bath water. But most importantly, it’s cooler, which makes the entire experience more enjoyable. The Maremma can be furiously hot in summer and swimming in hot water when it’s BOILING outside isn’t really pleasant. But in autumn, the weather is cool, not cold, and perfect for an outdoor dip. 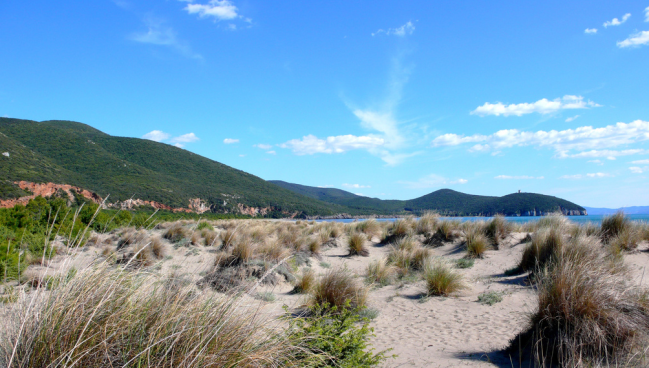 The Maremma’s favourite and largest nature park is a great place for an autumn hike. They have plenty of trails for all fitness levels, as well as horse riding, mountain biking and canoeing. Check at the tourist office for guided tours and excursion. The Parco della Maremma nature park is gorgeous at any time of the year, but I particularly enjoy visiting in autumn because the butteri are back in town. 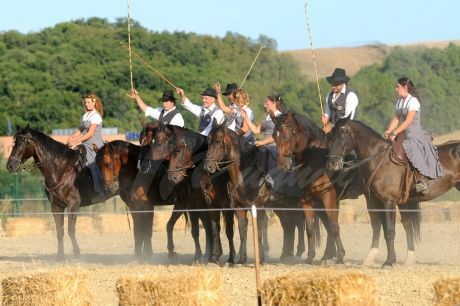 The butteri are the Maremma’s version of cowboys. 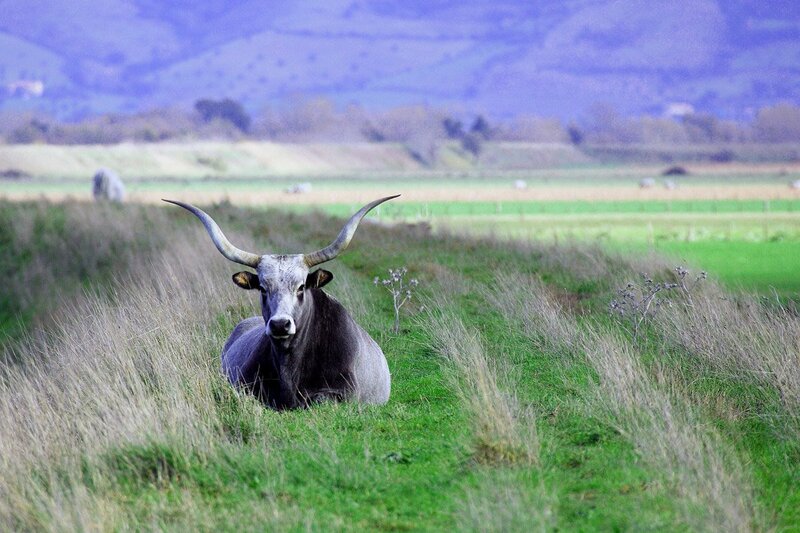 These hardworking fellas rear our own bred of cattle – the Vacca Maremmana. It’s a wild breed with huge vicious looking horns that roams the parklands in the off season. 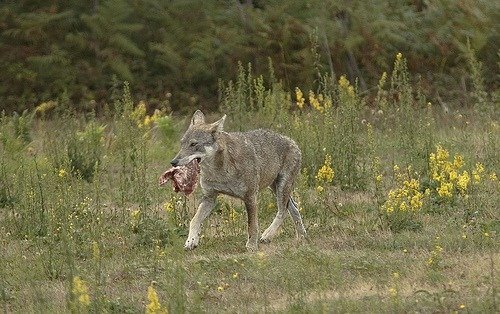 If you do see one, don’t get too close. They are notoriously jumpy! The cows, not the cowboys! Just outside of Arcidosso, you can see the remains of a very peculiar utopia. David Lazzaretti was a local who lived in the area in the 1800s and believed he was the second coming of Jesus Christ. His followers wore brightly coloured robes and lived on a hill in what is now the Il Parco Faunistico del Monte Amiata. The first time Giulio and I visited this park and tried to walk to the remains of Lazzaretti’s church, we never made it. We made it almost to the top of the hill when Giulio ran back down screaming something about “snakes”. We didn’t see any snakes and while he is deathly afraid of them, I’m pretty sure it was an excuse to get out of walking any further. Snakes are a feature of the park, which is why I recommend it in autumn when they’re less common. 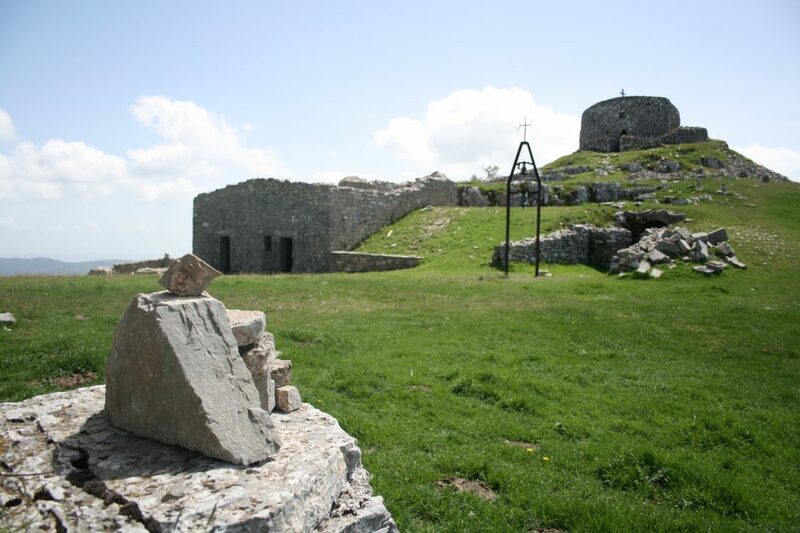 If you do make it to the top – like we did on our third attempt – you’ll see the remains of a circular church and a few dwellings used by Lazzaretti’s followers. It was never completed as the prophet was assassinated in Arcidosso. 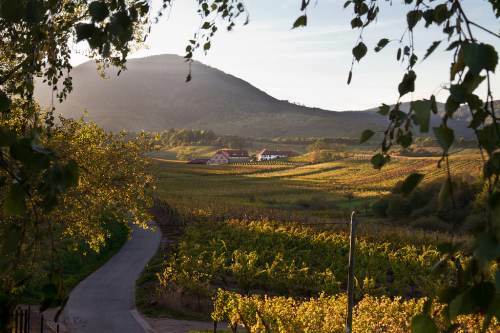 Finish your tour with a fascinating look at the museum dedicated to Lazzaretti in Arcidosso. Oooh the best part about the Maremma in autumn is the wine! The season is the traditional wine harvest and is an excuse to taste the first bottles of “new wine”. The name is a little misleading. But new wine actually refers to last year’s wine, which has been bottled and is finally ready to sample! The first out of the gate is Pitigliano’s Festa diVino, which is usually on in the first week of September. 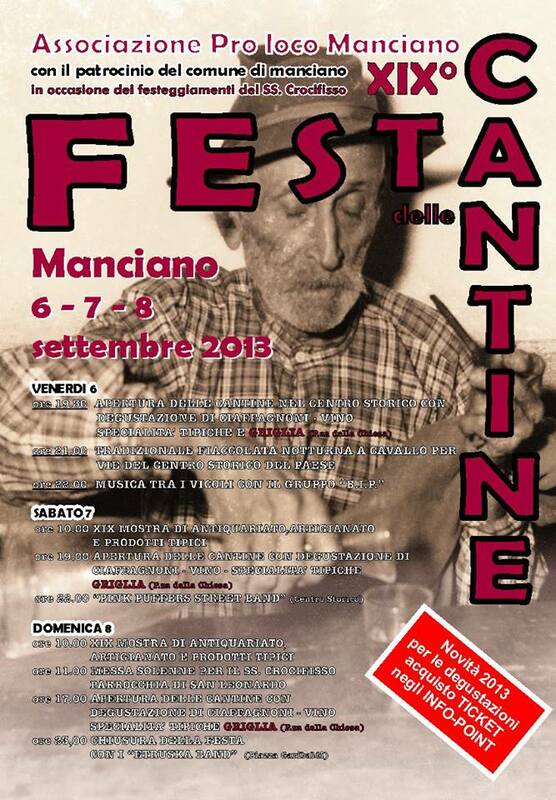 Then you have Manciano’s Festa della Cantina a few days later. Followed by Scansano’s Degustazioni di Morellino around the 20th and their very famous Festa dell’Uva at the end of the month. 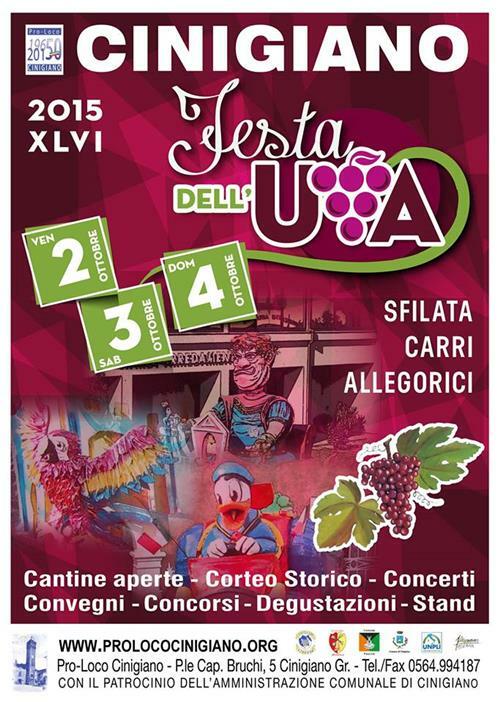 Cinigiano’s Festa dell’Uva is around the same time. 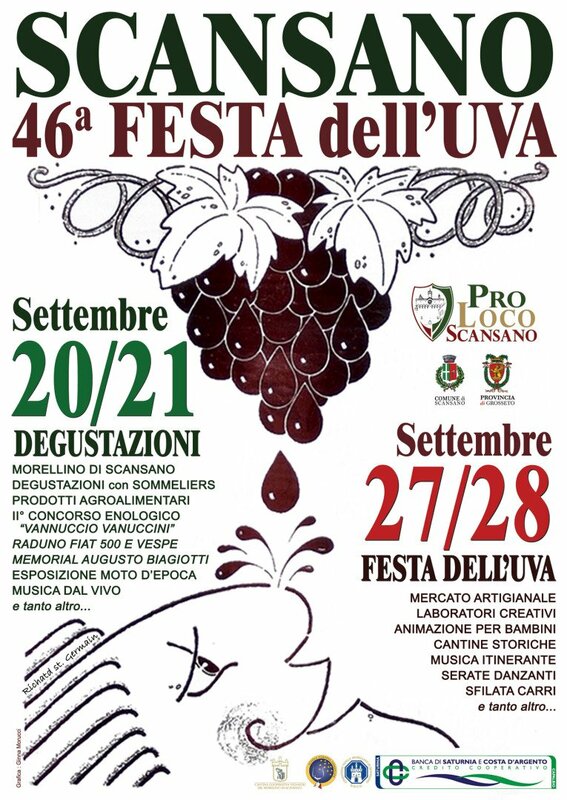 I know it can be frustrating to follow these events because they change every year without any notice, but my best advice is to check them out on Facebook by typing in Pro Loco and the name of the town – for example, ‘Pro Loco Manciano’. They usually share a poster with the event’s exact dates a week or two beforehand. 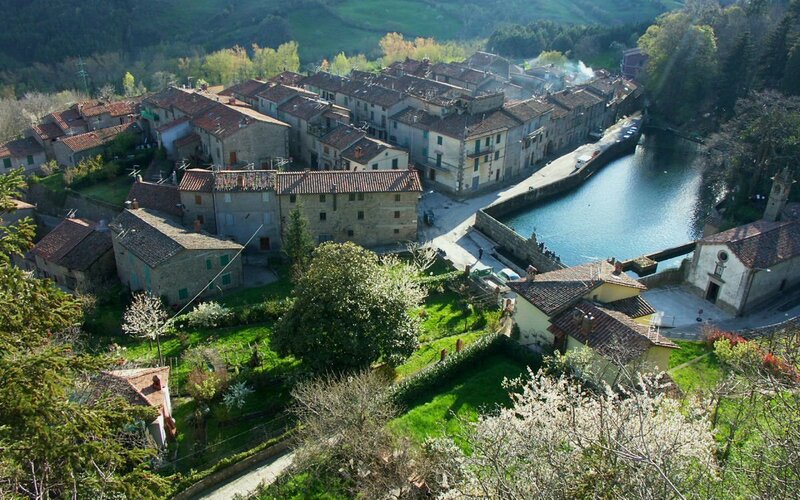 Picturesque Santa Fiora is also at the foot of Monte Amiata and a favourite of mine at this time of year. It’s a little cooler than the rest of the Maremma, but it has a gorgeous Fall vibe that kind of reminds me of the town from the Gilmore Girls, but Italian. 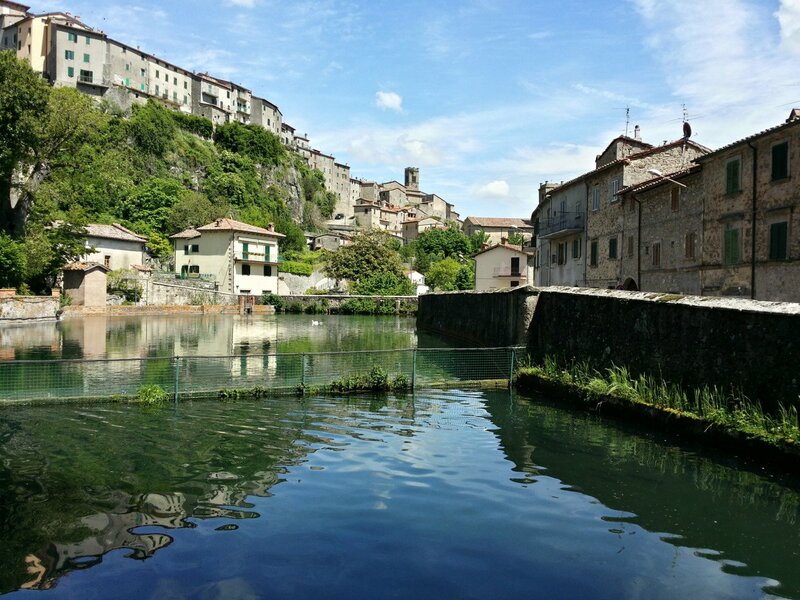 Santa Fiora is famous for its chestnuts, so while you’re wandering the pretty streets marvelling at the churches and secret gardens, spare a thought for some chow! At this time of year, the humble chestnut is transformed into everything from chestnut pasta to chestnut polenta, boiled with porcini mushrooms and baked into cakes. Our favourite restaurant in the area is Aiuole, which is just outside of Santa Fiora. They make a mean chestnut polenta along with some incredible local seasonal dishes like hare stew and wild boar casserole! This entry was posted in see & do. Bookmark the permalink. Hello, I would love to visit this area in Tuscany. My husband and I will be celebrating our 25th wedding anniversary and that would be so special if we can celebrate it in Tuscany!